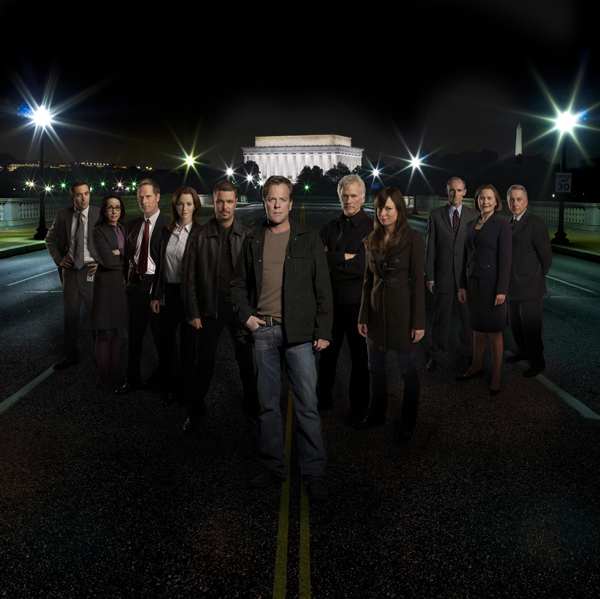 After some understandable silence from the official 24 sources, it was just yesterday broken when executive Manny Coto was quoted talking about the upcoming prequel in a press release for the latest round of 24 online promotional tie ins. Those wishing to stay spoiler free should probably stop reading now. Meanwhile, Bauer is subpoenaed to appear before the Senate hearing while in Africa, but doesn’t want to go. Yep, thats right, the prequel has actually brought back an idea that most thought was brave but probably unworkable. Jack in Africa. Being done in the form of a two-hour prequel seems to fit it much better, and gives me hope that actually the prequel will be something other than two episodes bolted on to the front of the main story. According to TV Guide’s Ask Ausiello, the prequel will indeed be shooting some scenes in Africa. … Remember when I told you last summer that 24 execs were forced to scrap plans to shoot a chunk of Season 7 on location in Africa due to budgetary concerns on the part of Fox? Well, apparently someone found some extra dough lying around, because I hear producers are currently scouting locations in Africa to film scenes for this fall’s two-hour prequel movie. This is good news, although clearly not all the scenes set in Africa will be shot in Africa, and so the key will be blending those scenes shot in Africa and those shot someone that looks like Africa together. For all the latest and most up to date news on Season 7, keep checking back. Not entirely newsworthy, but it’s a funny video with Greg Itzin in it, thats enough for me, although it may have a slight 24 twist at the end. Above is the official Season 7 cast photo, since we’ve not had a massive amount of Day 7 news, I thought this might wet your appetites a little. If your curious about who everyone is, click the “more” link for a full rundown on characters and actors. Not a huge surprise to see Lost take this I don’t think, with Prison Break a strong second. Very pleased to see Battlestar Galactica my other favourite emerge from the pack to win “best of the rest” as it where, even beating shows like Heroes, great stuff. Which Character Most Deserves A Banner? It’s finally Kim’s turn for the character banner. The new poll asks which out of a list of 20 possible choices is your favourite TV drama apart from 24?. Many people will probably ask why certain things aren’t listed, but there are some many possibles (one reason there are 20 choices instead of the usual 10), that I first had to narrow the field to just one hour dramas (or close in Doctor Who’s case) since that’s what 24 is. Then decided that it would have to be current shows only (those that have aired new episodes fairly recently or will do sometime in 2008). Then simply found some stats on the most popular shows. Still i’ll freely admit there’s probably something really obvious i’ve missed. Sorry.